Dunk, 26, has replaced Burnley's injured James Tarkowski in Gareth Southgate's 25-man squad for Friday's match against World Cup finalists Croatia in Rijeka and the game against Spain in Seville. 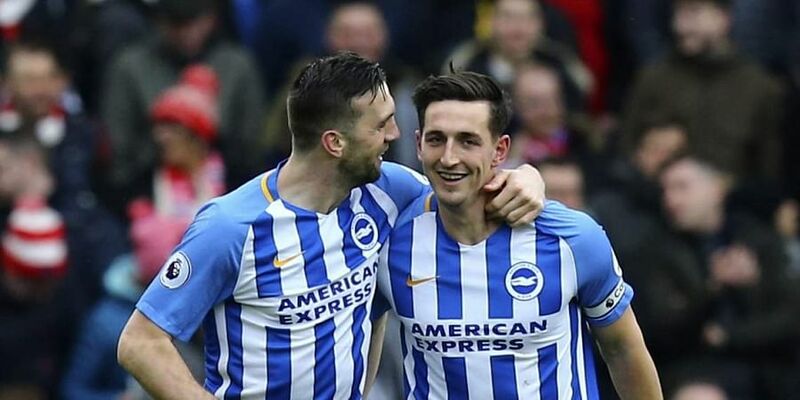 LONDON: Brighton defender Lewis Dunk received his first call-up into the England squad on Sunday ahead of the Nations League fixtures against Croatia and Spain. Dunk, 26, has replaced Burnley's injured James Tarkowski in Gareth Southgate's 25-man squad for Friday's match against World Cup finalists Croatia in Rijeka and the game against Spain in Seville three days later. Brighton-born Dunk —- who signed a new five-year deal with the club on Friday -— will join the England squad on Monday. "We are absolutely thrilled for Lewis, he fully deserves this call up," said Brighton manager Chris Hughton in a club statement. "He's improved with every season, and on the back of an impressive first season in the Premier League he continues to progress; I'm delighted he has now been given recognition at international level." Dunk is the first Brighton player to be called up by England since Steve Foster was a member of Ron Greenwood's squad for the 1982 World Cup in Spain and only the fourth overall.